“You know, you’re really right. What’s the point? 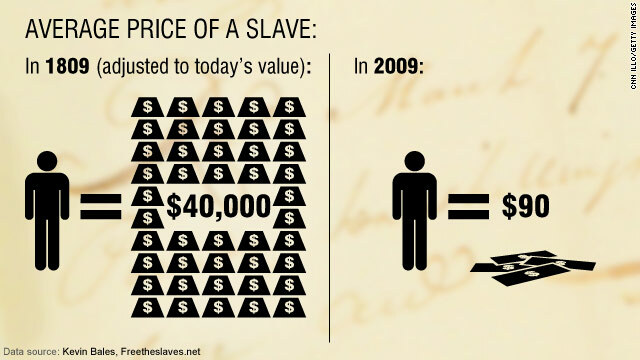 Despite all of our efforts, all the expense, all the missions we’ve done, there are still 27 million slaves in the world. There’s no way, there’s NO WAY we’re going to rescue 27 million modern day slaves. It’s probably is a waste of money, a waste of time, it’s risky, it’s dangerous, it’s expensive, and so you’re right. There’s no point. But I think you would tell me, ‘Matt, don’t forget Sarah.’ Don’t you remember the fifteen year old who was sold by her mom and held against her will in a brothel in Southeast Asia, how scared she was? Don’t you remember how she handed you a dollar bill with the words in her language, ‘please, rescue me?’ And you would remind me that although it took two months to get her out, that’s she’s free today. The Exodus Road partners with government officials and local law enforcement, providing covert equipment, training and operational funding to bring rescue to victims of human trafficking. According to their website, www.theexodusroad.com, this organization operates primarily in Southeast Asia and India, and believes that by decreasing the profitability of the trafficking industry for the criminal, they will eventually slow the mechanisms that make the exploitation of women and children so lucrative. Here at SNU we have something called human rights awareness week. By no means am I trying to discount this week’s significance because it is an amazing way to promote awareness for important issues and serves as a reminder that, as Christians, we have a call to action to bring hope to the hopeless. However, I think we forget sometimes that this call is constant. It is not something we can limit to one week per semester; it is a goal we should be working toward every day of our lives. So what can you do to help? I know it is impossible to invest in every “good cause” that comes along, especially as college kids who are just struggling to pay for our education. However, investing is a very tangible way that we can make a difference, make an impact and, for lack of a less typical explanation, be the hands and feet of Christ in giving hope to the hopeless. It is a way to say with your actions, “God, I trust you with my life and realize that someone else’s life (and possible salvation) is much more important than the seven cups of coffee a month or that one outfit at the mall.” Visit www.theexodusroad.com to learn more about one-time donations and the Search and Rescue program. The Exodus Road is one of the most openly honest organizations I have come across in this realm. They unashamedly explain all of their statistics and the whole process (including the risks) is available for public access on their website. Keep an eye out for more information and updates from The Exodus Road, as this is the first of a series of articles. Contact Kira Roberts at kirarobe@mail.snu.edu if you are interested in joining to help promote this cause on Southern Nazarene University’s campus. We will not rescue 27 million slaves—just maybe we can rescue one.